The Rethm Bhaava released this year was an example of an actively augmented widebander. In a nutshell, that's a crossover-less driver spanning bandwidth from about the midbass on up to the treble which then is supplemented by a self-powered bass system. Zu's Definition MkIV belongs to this breed as does Voxativ's 9.87 Pi and their soon-to-come Zeth II, a small single-driver floorstander which for 2017 shall sprout a powered 10" woofer addition. All four current Rethm models already pursue this path. I understand that Czechia's RDacoustics are presently at work on their own variation. Why is that a good trend? First, so-called widebanders, even those augmented by tweeters in the 6'000-12'000Hz range, eliminate a crossover in the vital midband, hence associated phase shift. Second, with the vast majority of the audible range reproduced by one driver, one exploits very practical point-source benefits. Third, widebanders tend to work in the 94-100dB sensitivity range. This welcomes amplifiers of simple circuits and low power and tends to an early wakeup call on the SPL meter, i.e. works better at already low volumes. Fourth, the addition of active bass completes the bandwidth for modern music without requiring colossal rear horns. Such speakers can be smaller, hence cosmetically friendlier and offer various bass adjustments to suit different placement/rooms. The morph from purist single-driver speaker to far more practical actively augmented widebander transforms a vintage fringe genre into a far more relevant buyer choice. It also enforces a certain creativity from their designers since bolting a standard low-efficiency massive rubber-roll-surround subwoofer to a far more efficient widebander is no guarantee for a happy ending without discontinuity and seams. 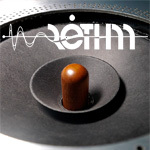 Rethm with their isobaric bass systems and Voxativ with their dipole 99dB subwoofer demonstrate such creativity to contribute meaningfully to our hifi arts. Here's to more examples of this breed in 2017. 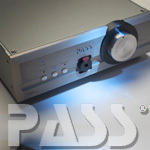 The Pass Labs HPA-1 was a lovely example of a 'muscle preamp'. It's a term I coined to call up the well-known benefits of bona fide muscle amps when applied to the line-level domain. Whilst on immediate concept a headphone amp, this machine turned out to be a perhaps even more brilliant if minimalist preamp which expressed the audible benefits of drive. This played counterpoint to the growing attitude that preamps are mostly passé when digital systems may use their D/A converters to drive amps direct. In theory that's admittedly very compelling. Fewer boxes are attractive on multiple fronts. Yet many converters these days eschew conventional output stages because the output voltage of their converter stage is sufficiently high already. Having heard such output-stage-less DACs, I believe that for all their purity and low noise floors, they relinquish the very tacit benefits of raw drive which are so potently exemplified by the astonishing HPA-1. If DACs mean to replace conventional preamps of superior quality, they need to incorporate equally good high-current analog output stages; and superior analog volume controls that are non-lossy down into whisper levels. Machines like the COS Engineering D1 represent that DAC-as-preamp genre in an uncompromised way. So does the Phison Audio Preamp PD2 which I reviewed this year. Here's to more examples of this breed in 2017. 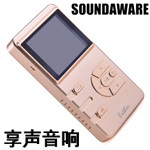 Soundaware's Esther Pro this year was an example of the DAP aka digital audio player. My focus for today's feature isn't on the portable aspect however but that of an SD card reader. On the cost-no-object end of this genre, we have the new $91'181 LessLoss Laminar Streamer. In the sub 5-figure reaches, there is the Resonessence Invicta DAC with SD card slot. The remaining challenge with these stationary decks is their relatively primitive GUI whereby one navigates a card's contents. With 512GB and growing capacities, access by various search parameters plus playlist creation becomes mandatory to satisfy listeners who grew up with iTunes, then migrated to Roon. That's where even cheap 'n' cheerful DAP have a leg way up on their posh stationary brethren. They run on various OS to duplicate the basic iTunes experience of searching a library by artist, song, album, favourites and so forth. Using SD cards as storage media for digital music files is super convenient as a carrier if the user experience follows suit. When one combines battery drive with hot-swappable solid-state memory, one has a sterling digital transport at hand. Luxury DAP with matching docks may already be 'it' even for advanced systems. Or perhaps, the LessLoss statement will relegate them all to far fifth place on raw performance as bloody well it should based on price. In which case there'd be massive room to occupy this underdeveloped real estate of the SD card-based digital transport with "better than DAP" stationary solutions in lieu of existing servers or computers. Cheers to that. 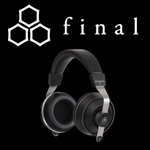 Final's Sonorous III was an example of what a truly ambitious resourceful specialty firm can accomplish in the headphone sector for €379. With statement headphones pushing north of the €5K mark these days—Final's own Sonorous flagship belongs to that elite group—it's encouraging to witness a counter trend for the less betoothed. The €309 Meze 99 Classics from Romania were another expert witness to that particular court case this year. But the Sonorous III in particular represents my perhaps favourite find in this entire component class since I've been at this helm. It's trickle down so concentrated and successful that most punters will never need more. It's comfortable, well built and so sensitive that even an Apple DAP will drive it without breaking a sweat. If a smaller Japanese firm can reset expectations at that price, we should expect the same from the established giants in the field. How about it for 2017? Finally a shout-out in absentia as it were, for KEF's LS50 Wireless. No, I've not heard it yet. 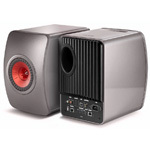 Still, in my book it epitomizes everything that's smart, practical and modern: the active DSP-controlled loudspeaker. At the upper end, we have the Kii Three and Grimm LS1be. But I'm even more excited by the more compact more everyman-priced KEF and its direct competitors. That's because, during a recent retreat in a Dresden centre, I experienced an array of eight small Dynaudio XEO actives beschall—that's German for 'generate sound'—a very large hall with 50 occupants engaged in active meditations and high-energy dance. With no subwoofer and just a basic Behringer controller fed by either an iPod or Denon CD player, the undistorted SPL, bandwidth and sound quality created by these wall-mounted active minis was truly remarkable. Why put up with separates and stale cable spaghetti when contemporary active boxes from engineering-driven firms like Dynaudio and KEF can bundle the lot into traditional 2-way monitor-sized packages complete with DACs, switchable inputs, remote volume, adaptable DSP and mono amps dedicated to each driver? So there you have my Year 2016 retro musings on welcome trends you might keep an eye on and perhaps even two ears for 2017. Sláinte. Cheers. Prost.